Here is an article I wrote that originally appeared on the website Quranacademy.io. The Holy Quran contains psychological wisdom that promotes our mental health. 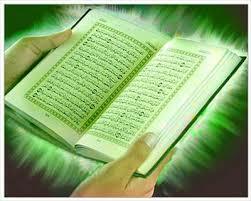 The Holy Quran encourages us to be optimistic, purposeful, rational, responsible, realistic, patient and compassionate. Part 1 of this article explores the Quran’s psychological wisdom related to optimism, purpose, and rational thinking. “And how many a city did We destroy while it was committing wrong – so it is [now] fallen into ruin – and [how many] an abandoned well and [how many] a lofty palace? “When they are told, ‘Follow what God has revealed herein,’ they say, ‘We follow only what we found our parents doing.’ What if their parents did not understand, and were not guided?” (2:170). “…Perhaps you hate a thing and it is good for you; and perhaps you love a thing and it is bad for you. And Allah Knows, while you know not” (Holy Quran 2:216). Part 2 of this article will share more psychological wisdom in the Holy Quran insha’Allah.